You never go to bed without removing your makeup and you’re adamant about cleansing, scrubbing and moisturizing on the regular, but despite your best efforts you seldom feel like you’re skin is as good as it could be. I too shared in your skincare plight before I discovered what I deem to be my best beauty investment of the year: the Clarisonic Sonic Skin Cleansing System. The Product: The Clarisonic is basically a giant electric toothbrush for your face (it was made by the same people behind the Sonicare Toothbrush). It’s a hand-held cordless face cleanser that uses a sonic frequency of more than 300 movements per second to vibrate the dirt and makeup off your skin. 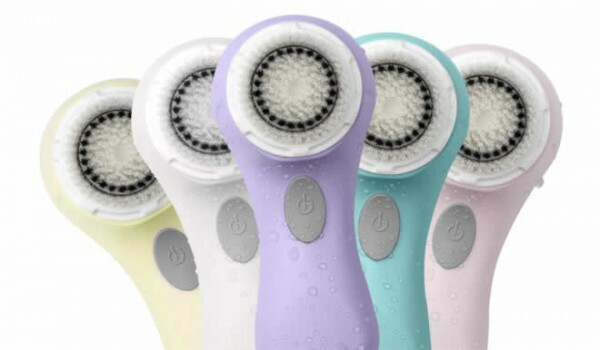 Clarisonic has four cleansing products – the Mia, Mia2, Classic and Plus models which vary in size, features and colours. Brush heads are available in normal, sensitive, delicate, deep pore and body to accommodate a range of skin types. They should be replaced every three months, just like an electric toothbrush. Currently all but the Mia2 are available in Canada at Sephora, Shoppers Drug Mart, Holt Renfew and various spas and dermatology clinics. Prices Range from $119 to $225 depending on the model. The Promise: The Clarisonic claims it is six times more effective at cleansing and removing makeup in 60 seconds than manual cleansing. Used once a week or once a day, it will gently massage away impurities from pores for cleaner skin. It will also help serums and moisturisers applied after cleansing penetrate into the skin better, as dead skin cells, oil and makeup particles won’t be in the way. The Verdict: I’ve been using my Clarisonic once a day with my favourite cleanser for a little over a month now, and I can already see a big difference in my skin. The flaky and dehydrated patches I was used to getting in the cold weather haven’t come back, and the blackheads and large pores on my nose and cheeks that I thought would be there forever are becoming less noticeable by the day. My makeup goes on so much better and stays on better too, and the afternoon T-zone oil shine is almost a thing of the past. The device itself is simple to use and tells you when to switch to other parts of your face with a pulse and shuts off after the 60 second cycle so you won’t over cleanse. The initial investment might be more than what you’re used to spending on your skincare regimen, but I’m convinced it will reduce the amount of money spent on facials, deep cleansing products and makeup in the long run. Can you tell me which Shoppers Drug Mart location in Toronto sells Clarisonic? I have called four locations and none have confirmed selling these? I don't have info on the specific SDM Stores that would carry them, but I have seen the Clarisonic listed as available there by other Canadian articles, and I had seen it at shoppers drug mart in Fairview Mall.